From the gamut of literature available aimed at bringing out the best in you, we found these gems that will renew your approach to life. Julavits weaves curated diary notes in a non-chronological order to create this book. Entries blur the lines between personal and fictional experiences, but they serve a purpose. Events are scant, but the author writes of the day as if it is seemingly full and fleshy as one gets through the diary. 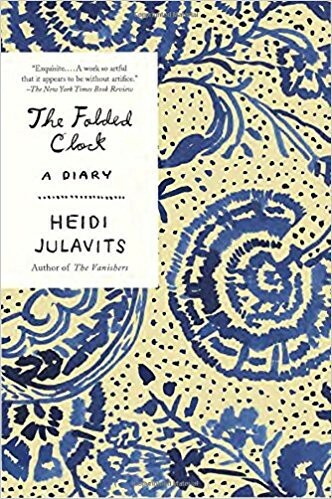 The novel is, indeed, a Foldable Clock, and reminds us that life feels more complete as we move through it. Written by plastic surgeon Maxwell Waltz, Psycho-cybernetics consists of accounts from candidates of surgery. Waltz found that most clients had expectations about their image that transgressed physical alteration. The book provides an overview of how Waltz inculcated positive outlooks within these clients by helping them visualize concrete goals. The text provides a host self-affirmation techniques, and combines the notions of psychology, medicine and self-help quite seamlessly. An illustrated guide to meditation and activating one’s ‘calm button’. Sakugawa’s doodles are abstract, yet simple. They relate to being a better listener, and being more strongly rooted within our world. Through her kitschy aesthetic palette, the author takes the reader to achieve ‘zen mode’. As it clearly states, The Life Changing Magic of Tidying Up is an encyclopedia that delves into the art of efficient Japanese cleaning. Kondo’s guide basically states that when one sets up a home in the efficient ‘Japanese’ way, they’ll never have to de-clutter again. How does a de-cluttering guide help us improve ourselves, you might think? Kondo affirms that putting one’s living space in order is akin to putting one’s thoughts in order. With soft aesthetics, ‘Jasmine Builds on Shifting Sands — The Graphic Novel’ recounts a young girl’s journey from being a normal student, to an entitled celebrity, to an assertive woman. It takes the reader on a sojourn of self-discovery with a beckoning realization that the challenges we face, and the ability to overcome them, are inherent in us. Get your copy today on Amazon.com! Like what you read? Show us some love by clicking on the heart below! Let’s get social. Find us on Facebook, Twitter and Instagram. How to change your emotional state of mind immediately!